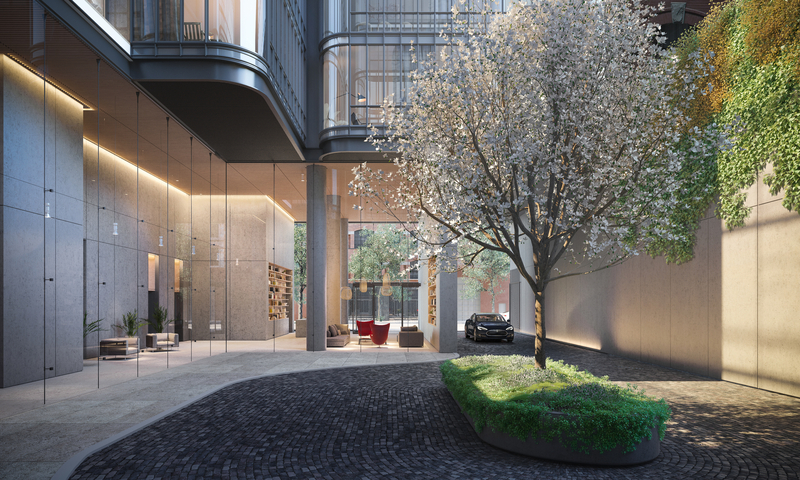 New renderings, depicting the final design, are now available for the 25-story, 115-unit mixed-use building under development at 565 Broome Street (a.k.a. 100 Varick Street), in Hudson Square. 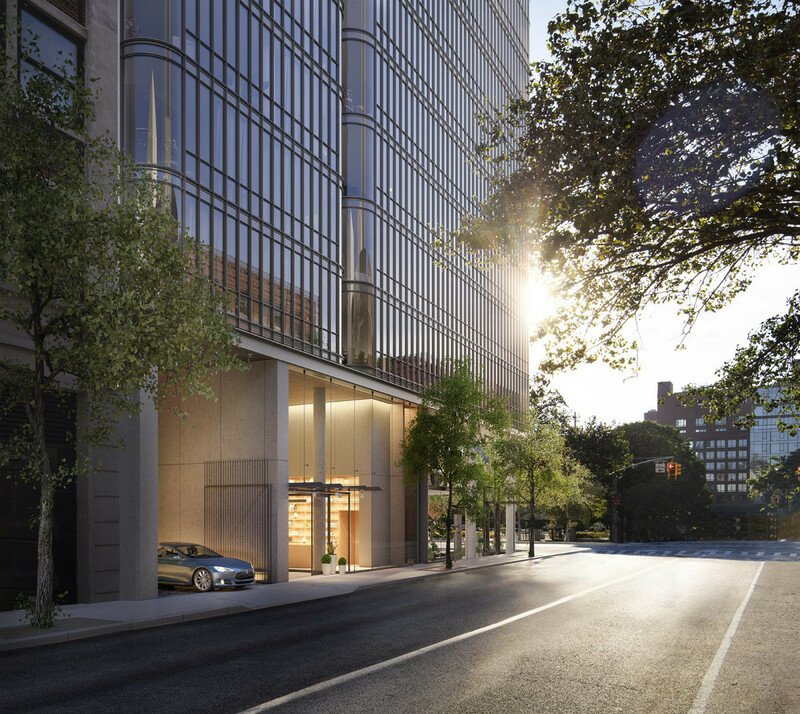 The renderings come as sales have launched for the project’s condominiums. The latest building permits indicate the structure will eventually encompass 322,154 square feet and rise 290 feet above street level to its roof, which doesn’t include the bulkhead. 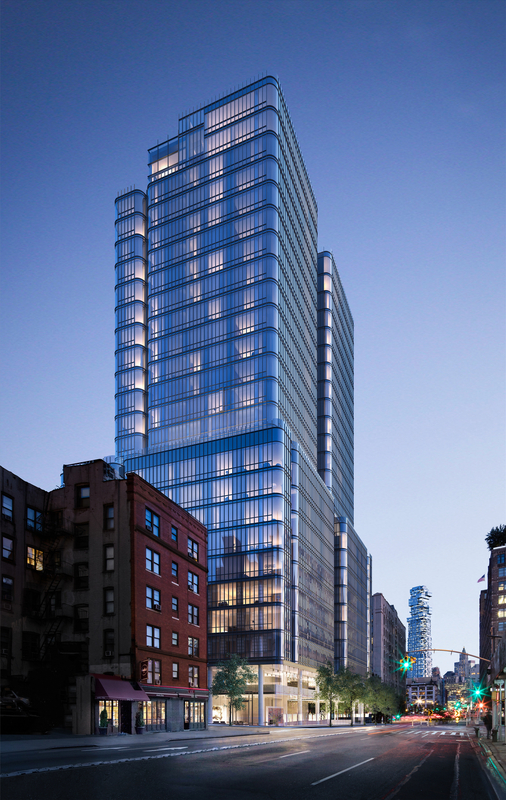 The ground and second floors of the project, dubbed 565 Broome SoHo, will host 16,867 square feet of commercial-retail space. The residential units, averaging 2,109 square feet, will be located on the third through 25th floors. Currently available residences range from studios to four-bedrooms, with some duplexes, full-floor apartments, and penthouses mixed in. The units will be accompanied by 17,000 square feet of amenities. Bizzi & Partners Development, Aronov Development, and Halpern Real Estate Ventures are the developers. Renzo Piano Building Workshop is the design architect and SLCE Architects is the executive architect. Rena Dumas Architecture Interieure is designing the interior spaces. Completion is expected in 2018. 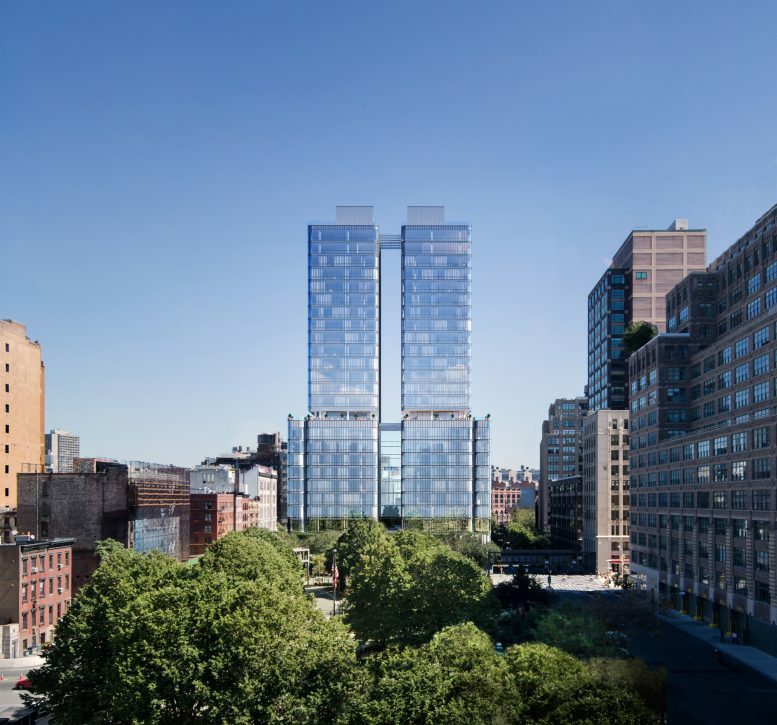 1 Comment on "New Renderings Released of 25-Story, 115-Unit Mixed-Use Building at 565 Broome Street, Hudson Square"
What’s happening in your backyard? YIMBY News delivers the day’s top five new development stories to your inbox every weekday morning.